Iranian association of writers for children and youth has introduced its candidates for the Astrid Lindgren Memorial Award 2018. “Houshang Moradi Kermany” as a writer and “The Institute for Research History of children’s literature date” directed by Zohreh Ghainee as promoter of reading Are Iranian candidates in Astrid Lindgren 2018 list. Next year, 235 candidates from 60 countries will be in the running for the world’s largest and most prestigious children’s literature award, the Astrid Lindgren Memorial Award. 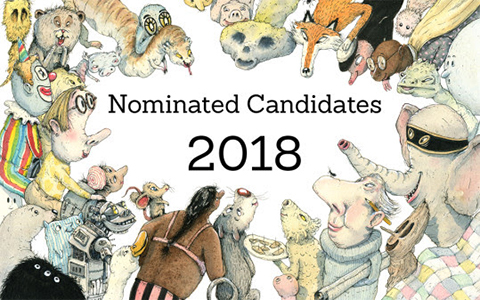 The nomination list is a gold mine for anyone interested in international children’s and YA literature. I hope that this list will be spread and used in all possible situations concerning reading and storytelling.” says professor Boel Westin after making the announcement.